It seems like every Duggar pregnancy inspires rumors of twins. And Jessa Duggar’s current one is no different. 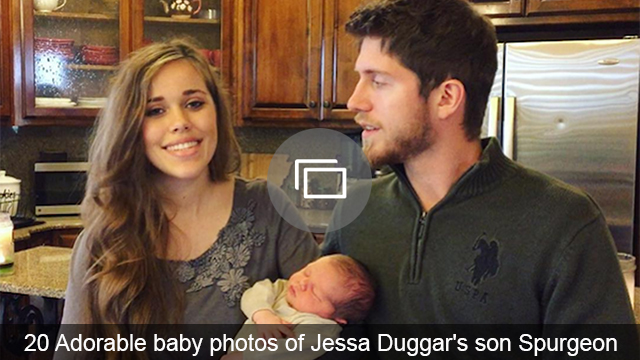 The way that Jessa and her husband, Ben Seewald, decided to announce her second pregnancy to the rest of the Duggar family was apparently confusing for some fans and viewers, who took it to mean Jessa has two little bundles of joy on the way instead of just one. In a new teaser video for an upcoming episode of Jill and Jessa: Counting On, Jessa and Ben recall the day they announced to the family that they were expecting again. They had Jinger take a family photo of Jessa and Ben together, their toddler Spurgeon clinging to Jessa’s leg, while they hold a chalkboard sign that says “Doubling the love, Feb. 2017.” They presented the photo announcement to their family during an ice cream social, and fans will get to see the reaction on an upcoming episode of the show. But the language they used on the sign has a lot of people confused. When they say “doubling the love,” that means twins, right? That’s how some people have been interpreting it. Rumors of twins were flying during Jessa’s first pregnancy, as well as several other Duggar women’s pregnancies. Jessa was even accused of using the twin question to build hype for her show — she posted a survey online asking people to guess her baby’s gender, including options for boy-boy, boy-girl and girl-girl sets of twins.